The Ivors Academy Fellowship is considered to be a huge honour among songwriter and composer circles. In its entire history, we have awarded just eighteen such honours. Here is a list of the recipients of The Ivors Academy Fellowship. 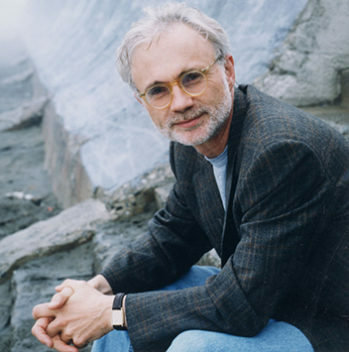 One of America’s best known and most performed composers, John Adams’ creative output spans works for opera, orchestra, video, film, dance, electronic and instrumental music. 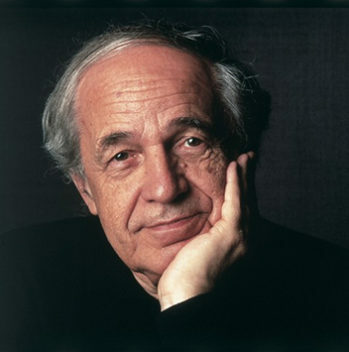 His works have been performed by orchestras throughout Europe, Asia, Australia and the United States. In 2003, the Lincoln Center ran its most extensive festival ever devoted to a living composer with their ‘John Adams: An American Master’ festival. 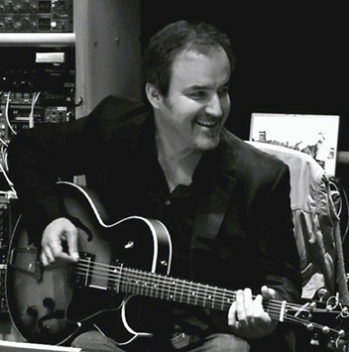 British film composer David Arnold’s best known scores include five James Bond films, Independence Day and Godzilla, as well as television series Sherlock and Little Britain. 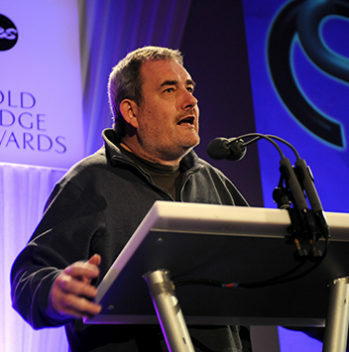 His work for screen has been acknowledged with Grammy and Emmy wins. David was Musical Director for the London 2012 Olympic and Paralympic games. 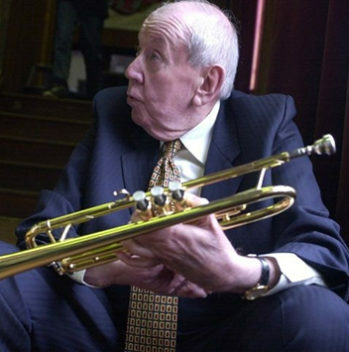 Sir Malcolm Henry Arnold CBE was an exceptional British composer, who worked in multiple genres including ballets, concertos, chamber music, choral music, brass band and wind band, and a cycle of nine symphonies. Sir Malcolm scored 132 films, including The Bridge on the River Kwai for which he won an Oscar. 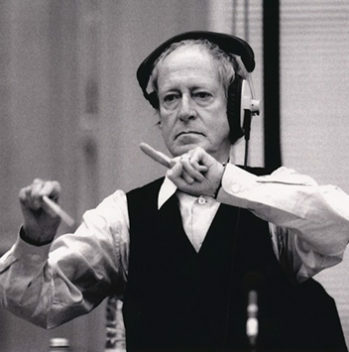 From a young age, John Barry demonstrated a proclivity for music and an ambition to be a film composer. He fulfilled his young promise and then some, scoring films which won him Grammys, Oscars, BAFTAs and more. Dances with Wolves, Out of Africa, Dr. No and cult TV series The Persuaders! are amongst his best known works. 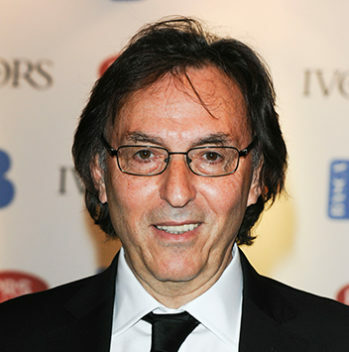 Lyricist Don Black’s career has seen him write more than a hundred songs for motion pictures, dominate the theatre world with award-winning work, and write hit songs for artists as diverse as Lulu and Meat Loaf. From his first film work, Thunderball, an association with James Bond continued over several decades of work, often in collaboration with another of our fellows, John Barry. British jazz composer, saxophonist, clarinetist and film score writer, John Dankworth entered the Royal Academy of Music aged just 17. (He would later be awarded a fellowship from the Royal Academy in 1973). 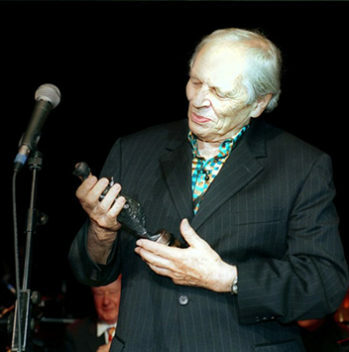 Dankworth brought jazz closer to the mainstream throughout his 60-year career, as well as closer to the classical stage, leading multiple bands, soundtracking multiple films & shows, conducting orchestral programmes and founding educational charities to nurture young jazz talent. 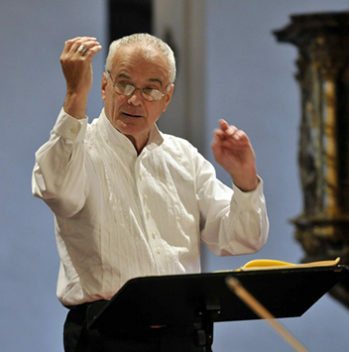 A celebrated composer and conductor, Sir Peter Maxwell Davies’ career saw him become Associate Conductor/Composer of both the Royal Philharmonic and BBC Philharmonic Orchestras, and made the Master of the Queen’s Music in 2004. 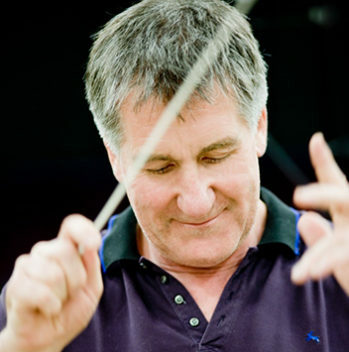 A prolific composer, Davies could combine disparate styles within one piece; amongst his wide ouevre of work are ten symphonies, his first created in 1973-76, and his tenth in 2013. George Fenton’s extensive career as a composer has seen him earn nominations for Emmys, Grammys, Golden Globes, BAFTAs, and Oscars. His television scores include the BBC’s The Blue Planet, Planet Earth and Frozen Planet. His film scores include Shadowlands, Cry Freedom, Gandhi and Groundhog Day. He founded the Association of Professional Composers, one of the organisations which would later merge to become BASCA, and subsequently, The Ivors Academy. Best known for Cracker and Auf Wiedersehen Pet, one of Britain’s most successful television composers, David Ferguson was greatly involved in the politics of the music business, and served as Chair of BASCA for six years. Passionate and uncompromising, Ferguson became a considerable force in the corridors of Westminster and Brussels. David left a legacy to our Trust, which has allowed us to establish the annual David Ferguson Lecture, to ensure continued focus on the importance of creative intellectual property and the value of music creators in society. 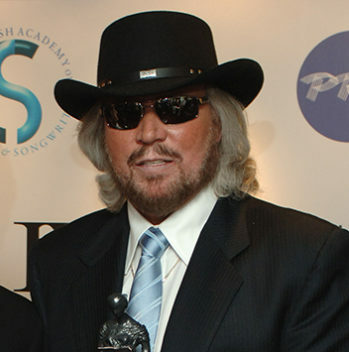 Co-founder of one of the most commercially and critically acclaimed groups in popular music, Sir Barry Gibb is a singer, songwriter, musician and producer whose legacy can be heard throughout multiple genres today. The Bee Gees sold 110 million albums, including the most successful motion picture soundtrack of all time in Saturday Night Fever. As songwriters and producers, they have the singular achievement of having five singles in the Billboard Top 10 simultaneously. Alongside his brothers, Maurice Gibb was part of one of the most successful rock-pop groups ever in the Bee Gees. 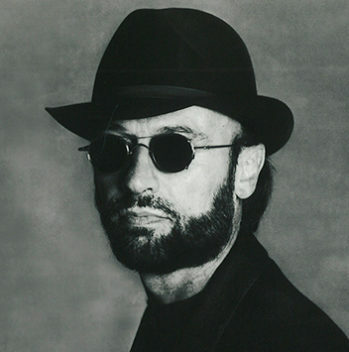 Maurice Gibb’s role in the group focused on melody, arrangements and vocal harmonies, and as a multi-instrumentalist and writer, he was integral to their success, whilst his brothers wrote the lyrics for the most part. His writing collaboration was clearly greatly valued by his siblings, who continued to work closely with him on their solo projects. Described by Paul Gambaccini as “one of the major figures in the history of British music” and “one of the best white soul voices ever”, Robin Gibb’s legacy as one-third of the Bee Gees makes him one of Britain’s most successful singer-songwriter-producers of all time. 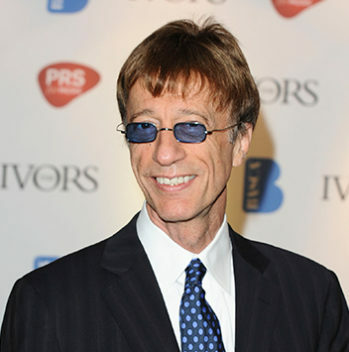 A multi-instrumentalist and lyricist, Robin Gibb also created solo material and collaborated with artists including Jimmy Ruffin and Dionne Warwick. One of the best-selling music artists in the world, Sir Elton John’s career as a singer, pianist and composer has shaped popular culture in the UK and across the world since his first hit single, Your Song in 1970. Regularly ranked as one of the most influential musicians of all time, Elton John’s catalogue reaches from concept albums to musical theatre, and his partnership with lyricist Bernie Taupin is often feted as one of music’s best. 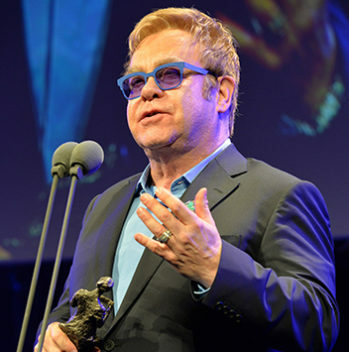 John founded his eponymous Elton John AIDS Foundation in 1992, which has raised over US$200 million to help prevent spread of HIV/AIDS and eliminate prejudice and discrimination of its victims. 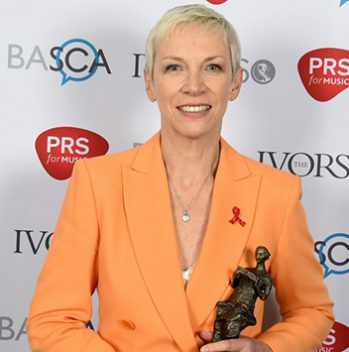 Singer, songwriter, activist and philanthropist, Annie Lennox’s compelling voice is enduringly affecting and effective. Eurythmics, Lennox’s band founded with Dave Stewart, was internationally successful, with more than 20 international hits, and saw Lennox become a female musical icon. Lennox then embarked on a solo career which further sealed her position as a singer-songwriting giant, alongside tireless political and social activism. Lennox received the Woman of Peace Award at the 2009 World Summit of Nobel Peace Laureates. An impresario of musical theatre, Sir Andrew Lloyd Webber’s career has forever changed the face of the West End and Broadway. Amongst his works, Lloyd Webber has composed 13 musicals, two film scores and a Latin Requiem Mass. The most commercially successful composer in history, his works such as Jesus Christ Superstar, Evita, Phantom of the Opera, and Cats have earned him numerous accolades and awards. 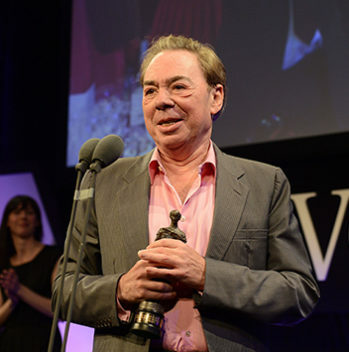 In 1992, he established the Andrew Lloyd Webber Foundation which supports arts culture and heritage in the UK. 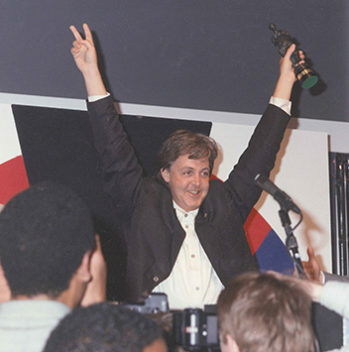 Since rising to worldwide fame in 1963 with The Beatles, Sir Paul McCartney has held a permanent post at the top of international pop music. Singer, songwriter, multi-instrumentalist and composer, McCartney has released 49 albums, either solo or as The Beatles, Wings, soundtracks or other collaborations. His songwriting partnership with John Lennon remains the most successful in history, and his song Yesterday has been covered by more than 2,200 artists, demonstrating how universally endearing and powerful his writer voice remains. 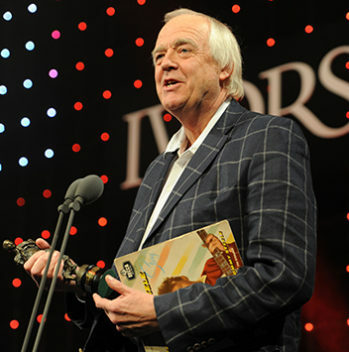 Multi-award winning author and lyricist Sir Tim Rice is best known for his musical theatre collaborations with Sir Andrew Lloyd Webber, with whom he wrote Joesph and the Amazing Technicolor Dreamcoat, Evita and Jesus Christ Superstar, as well as his global hit musical The Lion King which he created with Sir Elton John. Such is his respected status as a lyricist, Rice is one of only 15 artists to have won an Emmy, Grammy, Oscar and Tony award.